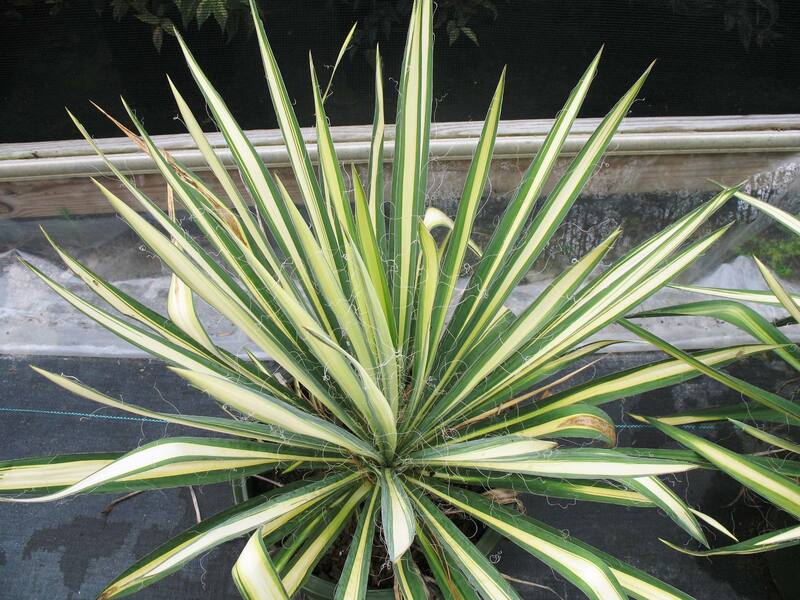 Comments: This yucca produces a striking rosette of green and golden colored leaves. Mature plants produce tall spikes of white nodding bell-shaped flowers. The foliage is more striking when plants grow in full sunlight and also during cold winters. Leaves have threadlike filaments along the edges. Plant yuccas in full sunlight and well drained soil. This cultivar is often used as an accent plant in the garden.